Women voters in Revolutionary Massachusetts? 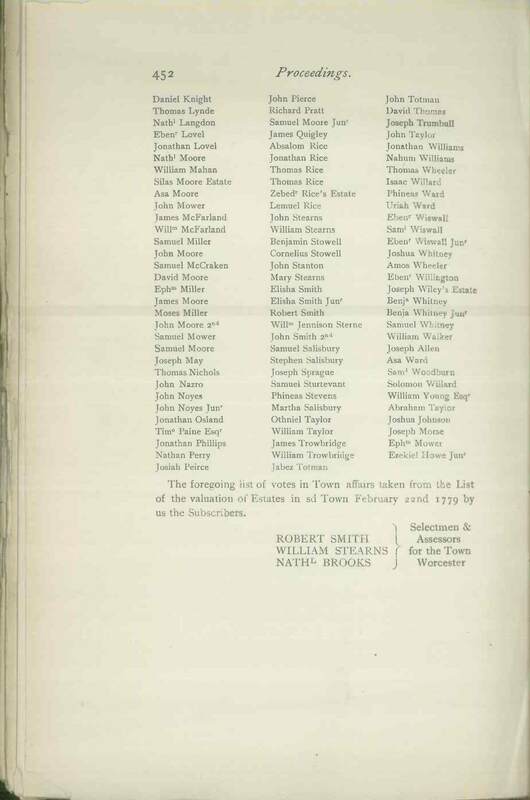 Early in 1779, in the midst of the Revolutionary War, Worcester selectmen and assessors consulted the list of “valuations” that determined taxes to create a list of who would be eligible to vote in that year’s town meetings. (Voting at the time was limited to “ratable polls,” or taxpayers.) 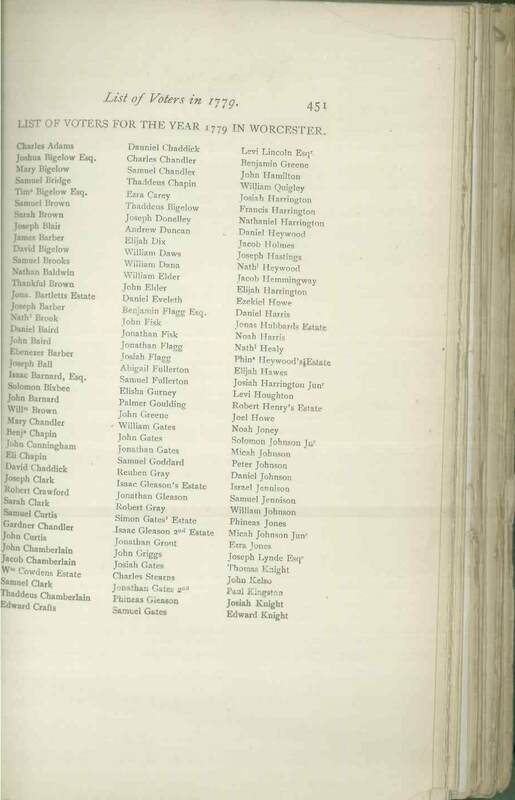 Look over the 218 names and you will find eight women. Was this an early instance of women’s suffrage? Not exactly. Those 8 women are outnumbered by 11 estates, so it seems dead people could vote too. What does this mean? On one level, it was a manifestation of the property-centered franchise: when a man with property died, his property would continue to be represented by his widow and/or his estate. But since some women legally held the franchise, could they possibly have used it? We have no evidence that they did – or that they didn’t. How do we deal with this information, and lack thereof? Researcher alert: do similar lists exist for other towns? How might we find out more? 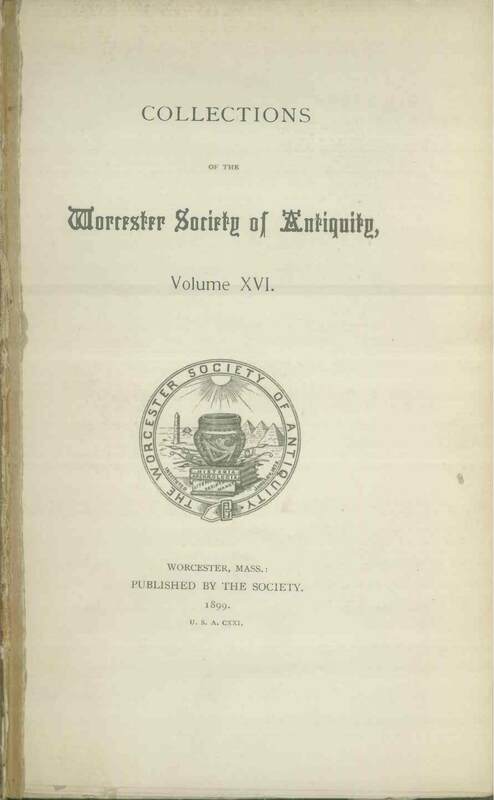 This list is reproduced in the Worcester Society of Antiquity, Proceedings, 16 (1899): 451-52.